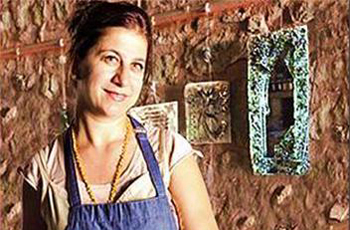 Transparent round glass plate is designed and hand made by the artist, Yasemin Aslan Bakiri. 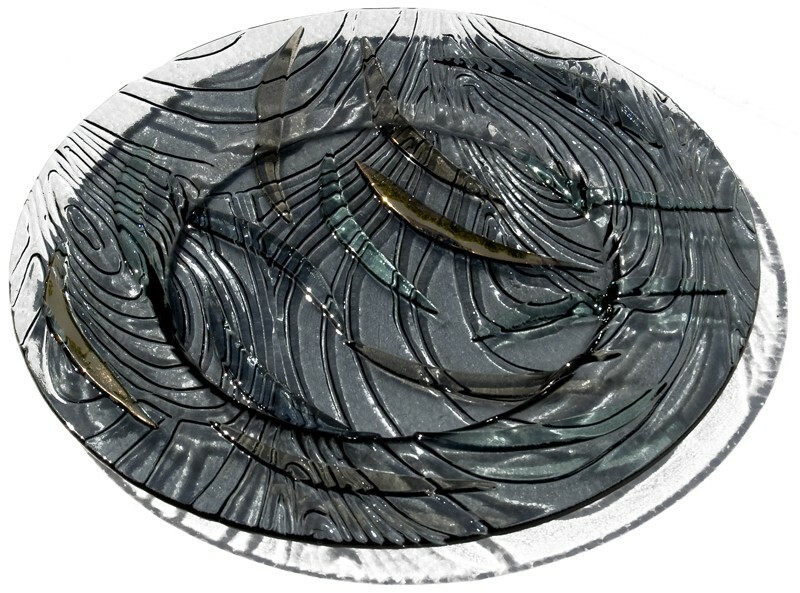 Fusion, colored glass, 24 carat gold, platinum is hand cut with a controlled oven program under approximately 800-900 degrees and is made by combining the particles. 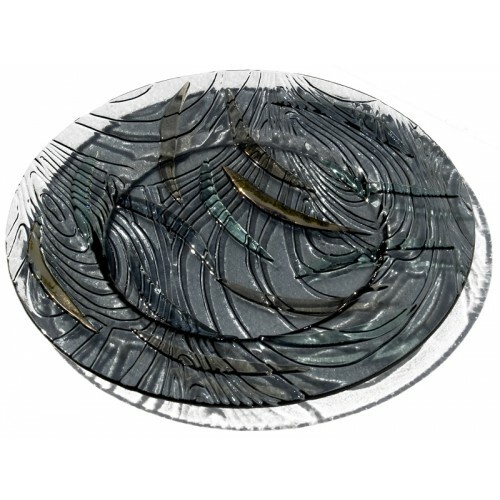 Dimensions: Length 1, diameter 42 cm.